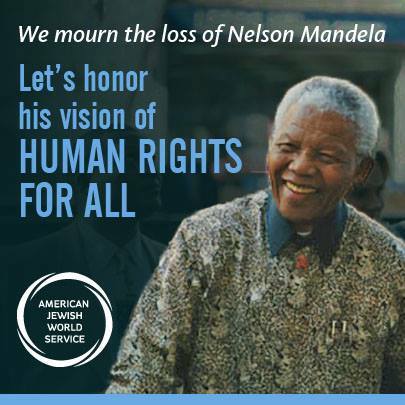 Like millions of people around the globe, we are mourning the loss of Nelson Mandela, whose leadership as a peacemaker and human rights activist transformed our world. “Nelson Mandela was a man who, by his charisma and his philosophy, proved to the world that hatred is a weapon of the weak and that forgiveness frees both the victims and the executioners. The king is dead. Long live the king. Madiba, your time on earth was not useless.” – Babi Florent, coordinator of Forum des Organisations Nationales Humanitaires et de Développement (FONAHD) in the Democratic Republic of Congo.